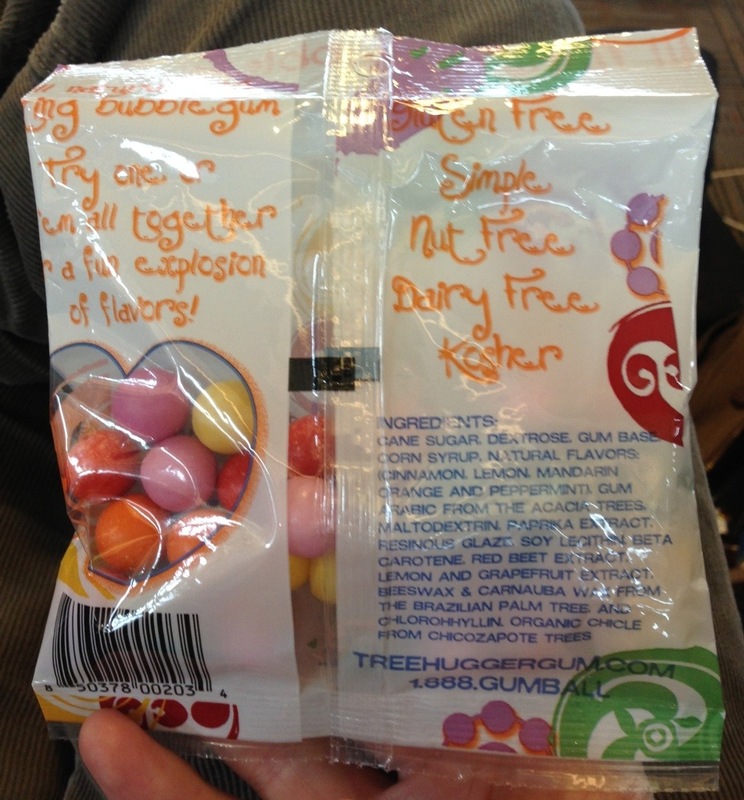 ← Milk Duds’ Exotic Brand Extensions – Saga of the Fruit-Flavored Duds and More! Once Again I’m Traveling! 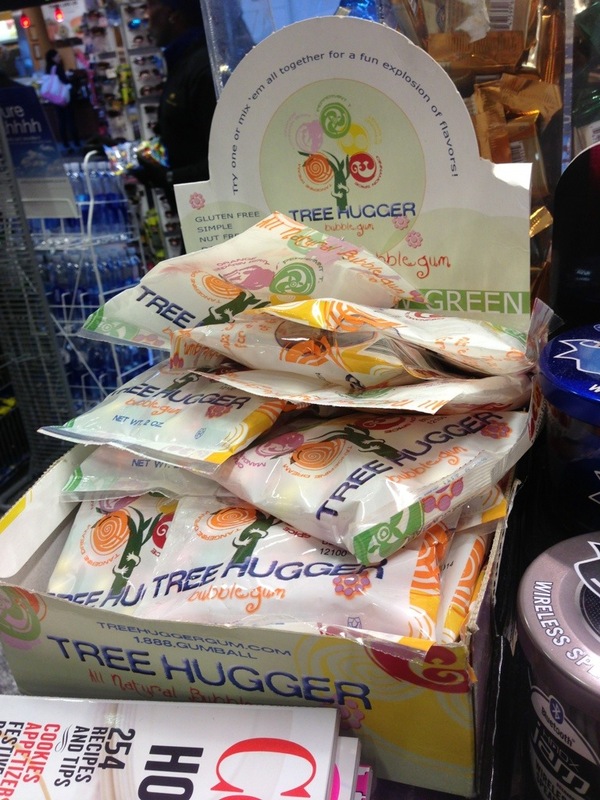 Stuff found at the D.C. Airport! Hi, everyone! 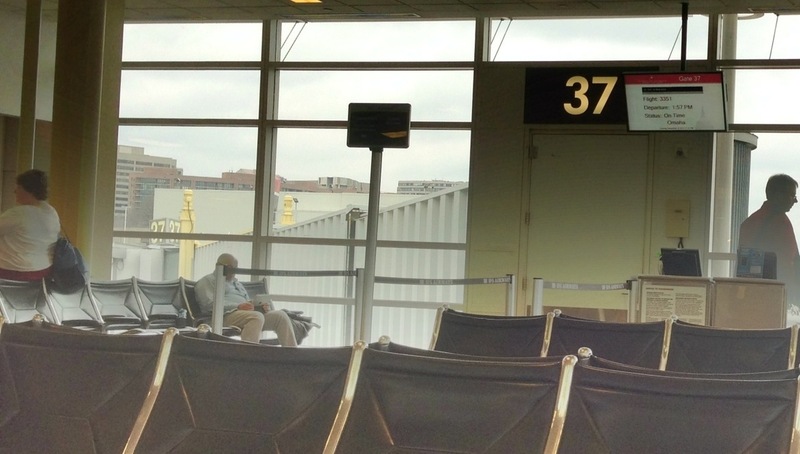 I’m traveling today for the holidays and am currently enjoying a 3 1/2 hour layover in Washington D.C.’s Reagan Airport. So of course I did some candy hunting. First thing I found was a neat candy bar-shaped York Peppermint Pattie pack. Kind of unusual, and clearly designed to fit the smaller shelving displays found in a spot like an airport shop. 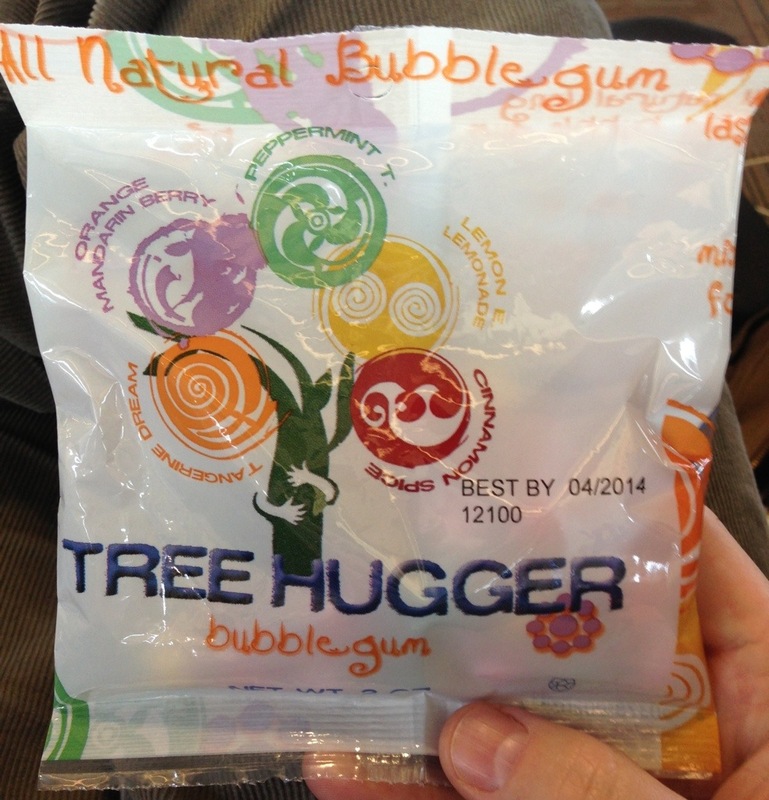 Also found Tree Hugger bubble gum! It was a bit pricey at $3 but so unusual I had to pick them up. So a bit of fun stuff found on a short little stopover. And that’s it for today… I’ve got a connecting flight to catch! But I do want to let you that I’ll be back tomorrow to start my week-long Christmas candy coverage! This entry was posted in Bubble Gum, Chocolate and tagged candy collecting, candy collection, candy collector, candy wrapper collection, candy wrapper collector, collectible, collecting candy, confectionery, confections, packaging, sweets, vintage candy wrapper, wrapper. Bookmark the permalink. 1 Response to Once Again I’m Traveling! Stuff found at the D.C. Airport!